It’s been exactly two years to the day since I started this blog, so it’s time for the annual review of my blogging achievements and time to reflect on what to do with it next. When I launched my blog, I planned on posting once a week. At the time this didn’t seem to be too onerous a schedule, and one which I managed to adhere to for a few months. However, after the first year my posting frequency slipped to about 3 posts a month and has since slipped to a little less than 2 posts a month. So I guess at this rate my blog has another 2 years to go before I’m not posting anything at all! Towards the end of my first year blogging, I started posting a monthly podcast about general internet related topics, which I imaginatively titled The Internet Monthly (wonder how I thought that one up?). While I record this podcast myself every month (with my friend Winnie Clarke providing her professional vocal talents for the recording), I’m afraid I can’t take the credit for the content as I record this podcast for Zen Internet’s monthly customer newsletter. Zen Internet have kindly allowed me to syndicate this podcast on my blog, which essentially means that I have the intrinsic content for one blog post sorted every month. This then leaves me one proper post to try and squeeze out every month to maintain my two posts a month. Over the past year I’ve had to to install a couple of updates to WordPress (the system that I use to power my blog), which have been released to improve security and offer a few new features (primarily to the administration part of the system). I have also added a few additional plugins to my WordPress system to further enhance its functionality and improve security. I’m presently using 19 plugins (a modest increase of 3 over last year’s count). As a direct consequence of running this blog over the past two years, I recently acquired a few little jobs setting up other people’s blogs using WordPress and guiding them through the initial stages of blogging. Without the experience of running this blog and everything that I’ve learnt on the way, I wouldn’t have had the confidence to tackle these jobs; certainly not enough to provide a quality service that I like to try and achieve. Whilst my posting frequency has undoubtedly declined, I have still seen a steady growth in traffic to my site. This seems due to the back catalogue of previous posts, which are increasingly being found by the search engines. Unfortunately, with the growth in traffic to my site, there has also been a substantial increase in spam comments by 350%. I monitor the traffic on my website using Google’s analytics service, which provides a vast array of statistics regarding the site’s pages and visitors. The huge spike in traffic on 21 March 2009 corresponded to 415 visits in a single day being driven to my website from the social bookmaking site StumbleUpon, all of which were to the same post on my blog: Song Capacity Calculator for MP3 Players. The majority of my website’s traffic (87%) was brought in from search engines, with Google accounting for 94% of this search traffic! This is a significant increase over last year, where the search engines were responsible for 76% of my blog’s traffic. 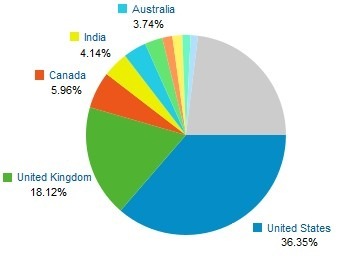 My blog attracts visitors from the world over; 174 countries/territories in total. The United States and the United Kingdom remain the predominant countries, accounting for 50% of the traffic, with 36% of visitors coming from the US and 18% from the UK. The RSS feed on my blog is provided through Google’s FeedBurner service, which records a wealth of useful statistics about the blog’s subscribers. I currently have 90 subscribers (18 of which subscribe by e-mail) and have now implemented a real time display of the number of subscribers in the header of my blog. 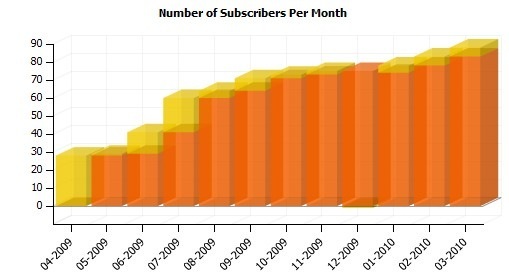 This is an increase (260%) over last year’s total of 25 subscribers. 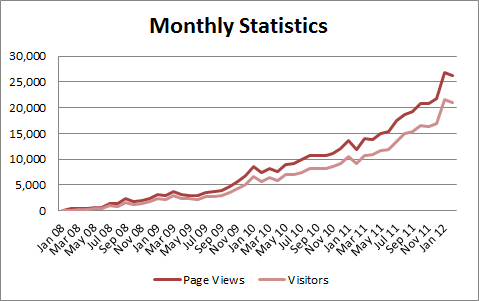 This year I’ve increased the number of visitors to my site (and consequently page views) by 200%! Not bad really considering my posting frequency has dropped by 40%. Imagine what I could achieve if I really focussed on the blog? 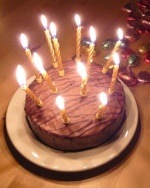 You can view last year’s statistics on my previous blog post: Happy Birthday Blog. The most popular article on my blog by far is still Embedding Album Art in MP3 Files, receiving 65% of the blog’s entire traffic. The recurring theme amongst all of my top posts seems to be MP3 files and audio. While I no longer seem to be able to dedicate the time to produce an in-depth post as often as I would wish, I would prefer to continue this blog producing quality articles that people would find helpful or inspiring on a less frequent basis, rather than turn out drivel every other day on what I had for lunch or the contents of my navel. After all, isn’t that what twitter is for? To all of you that have subscribed to my blog and follow it regularly, thanks very much for your support. Hopefully I won’t loose heart completely and can continue to turn out the odd informative and interesting post in amongst the podcasts. If you’ve just stumbled on this blog and have managed to make it to the bottom of this post, then thanks for your precious attention and while you’re here, why not check out some of the above posts? Congratulations on turning two Richard! Some interesting stats there. I’ve noticed your post about embedding art ranks very high on Google.